Logitech has made mice for office productivity a little more advanced with the MX Anywhere 2. Hint: you only need one mouse for all your computing devices. 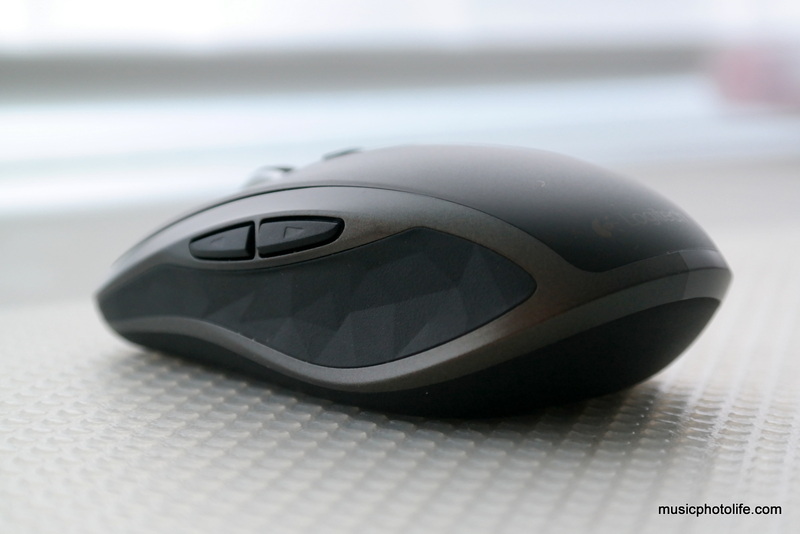 The new MX Anywhere 2 may have all the usual features most pricey mice have: a 4-way scroll wheel, 2 thumb buttons, a middle button. 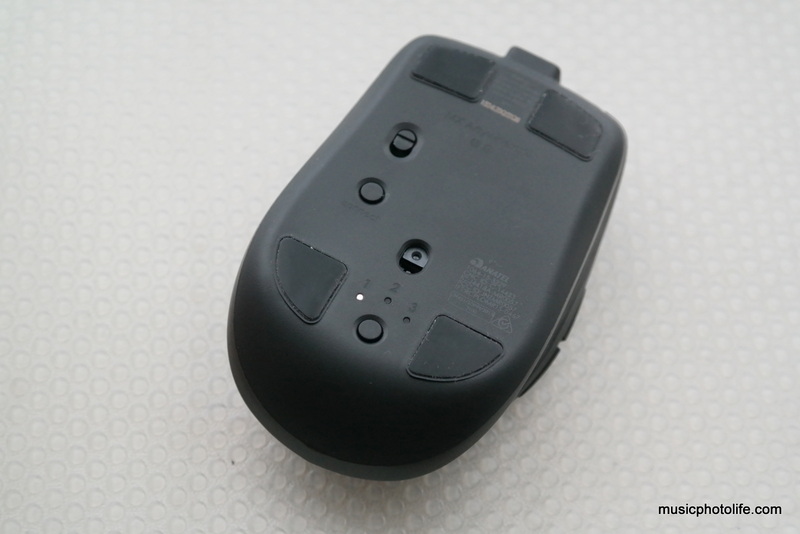 But this new “MX” series mice are possibly the only ones with dual wireless connectivity: via wireless Pico Unifying USB dongle receiver or Bluetooth. 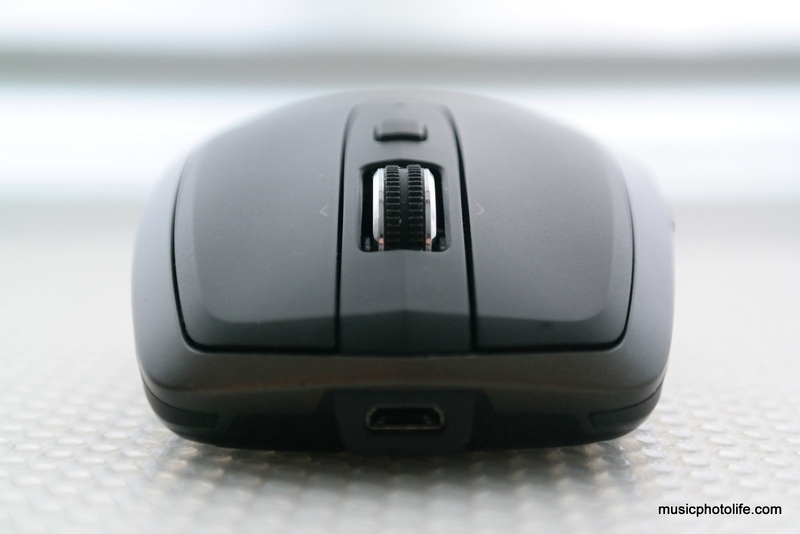 Yes, you can navigate your Android devices with a mouse without unsightly wires. The Bluetooth connectivity also frees up a USB port on my ultrabook which comes with just 2 USB ports. Like my favourite wireless keyboard Logitech K480, you can pair up to 3 devices and switch easily and quickly from the bottom of the mouse. Seriously, this is so convenient. 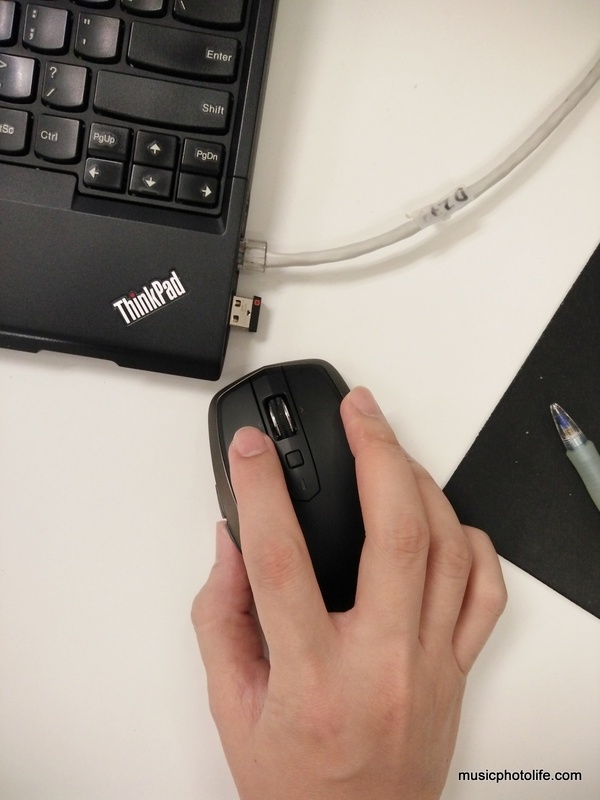 I can toggle the mouse among my PC, tablet and smartphone in seconds! On top of that, you can remove the scroll wheel clicks by clicking the scroll button for speedy scrolls down long web pages or documents without the annoying click noises. Without the scroll clicks, the wheel goes on a free spin depending on how hard you flick. 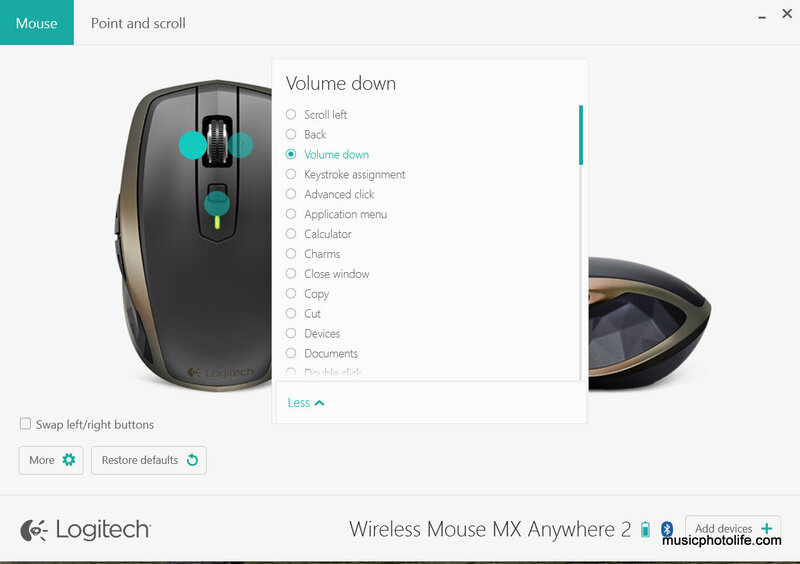 Logitech MX Anywhere 2: Much attention is given to design details. Plus, when you install the Logitech Options software on your computer, you can assign actions to 5 buttons. I assigned the 2 thumb buttons as forward and back, which helps improving my navigation on the Web browser or file explorer. I assigned the left and right scroll wheel as volume up and down. 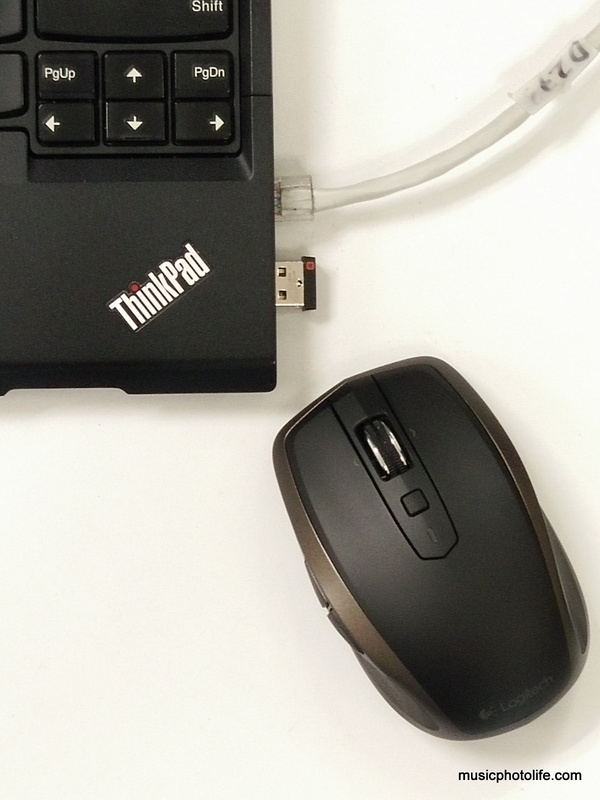 The best part of all: the mouse can track on any surface, including glass. How I’d wish the package comes with a case that could protect the mouse during transportation. Perhaps this case could unfold like origami and double as a mouse pad, just like how the Logitech Tablet Keyboard case converts to a tablet stand. After all, this is a mobile mouse. I also wish I can store the Pico receiver on the mouse like M235 or M238 so that I don’t misplace it, especially when the receiver is so small. 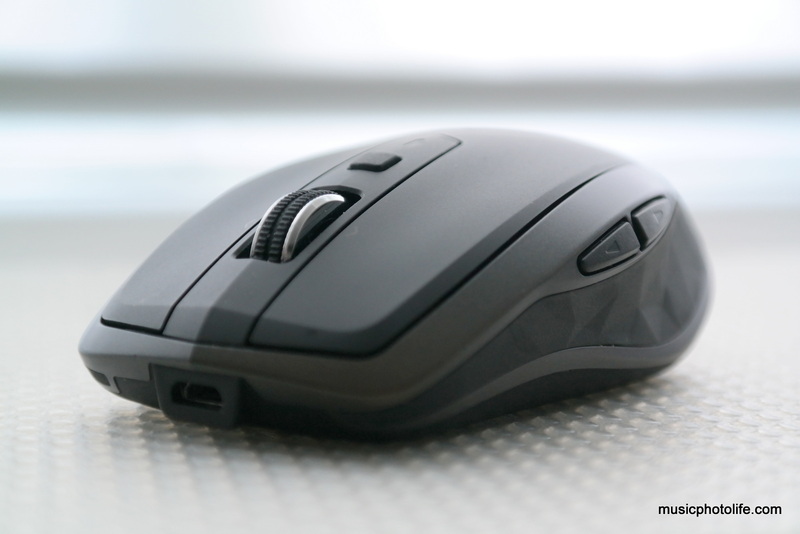 The MX Anywhere 2 mouse can last for 2 months if you use it for an average of 6 hours daily. When battery runs low, you can plug the USB cable and continue using while charging. Just 1 minute of charging will extend the usage by 2 hours. 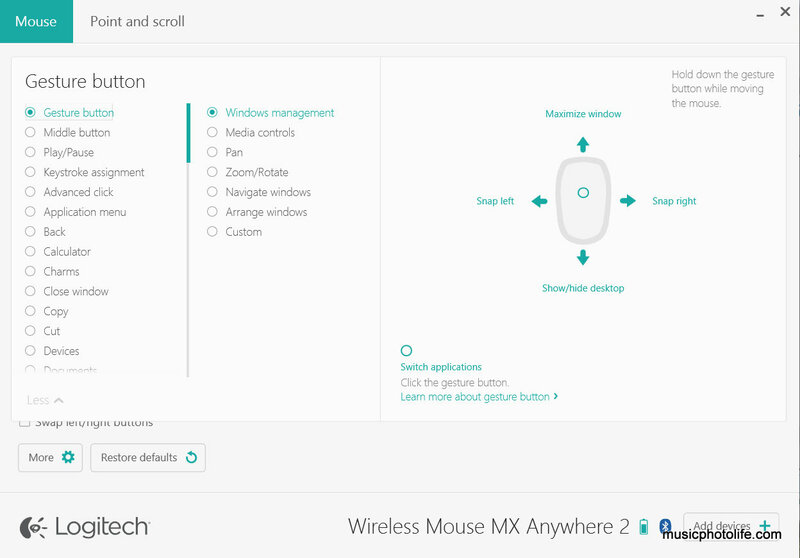 With the MX Anywhere 2, I can conveniently connect the mouse to multiple portable devices without having to re-pair frequently. It is a perfect companion to the multi-device K480 or K810 Bluetooth keyboards. 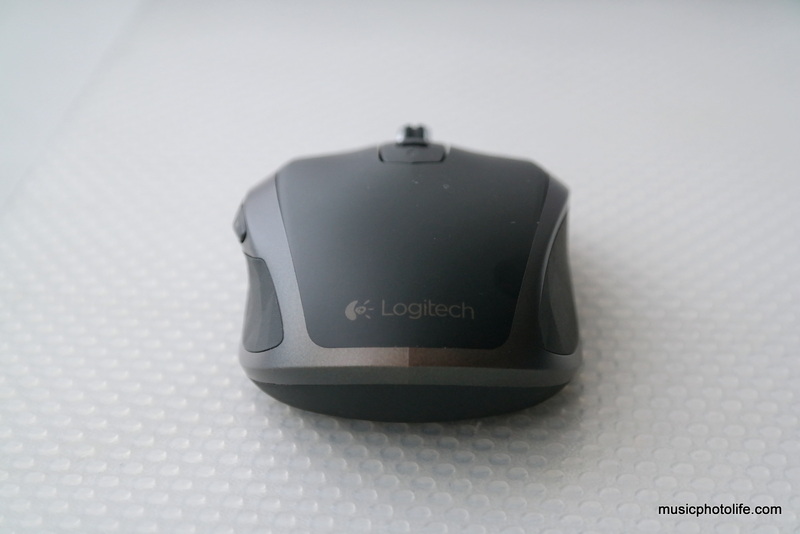 The Logitech MX Anywhere 2 mouse sells for S$129 in Singapore, and this is going into my recommended gift list for this Christmas.